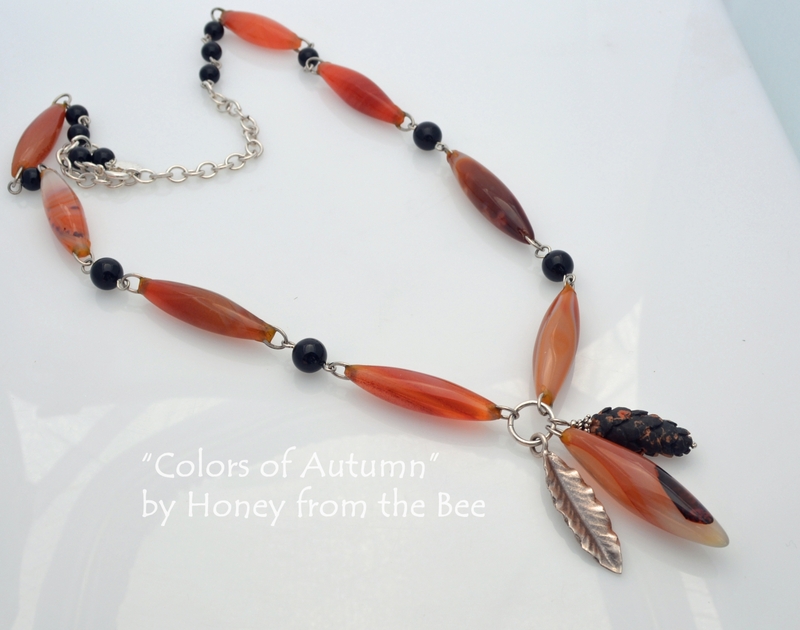 A precious carved pinecone in Bubble Basalt by Gary Wilson makes up just part of the unique components on this Autumn artisan necklace. Basalt is a volcanic rock. Some basalt, usually at the top of an eruption may contain small air bubbles called amygdales. These tiny bubbles eventually get other crystals deposited into them which give the specks of color. 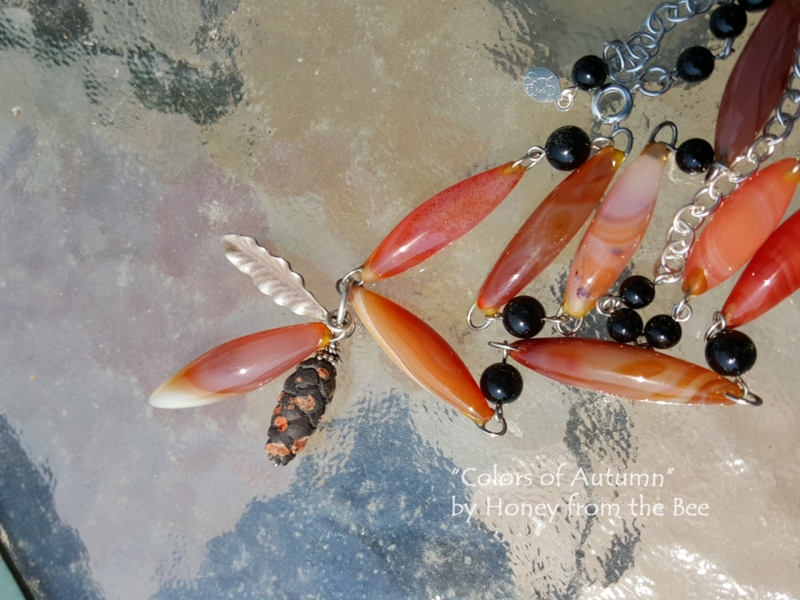 I've used a Thai silver leaf (sterling silver) and a vintage carnelian colored glass dangle with the carved pinecone as a fitting tribute to Autumn. I found these wonderful vintage glass beads at an antique shop. 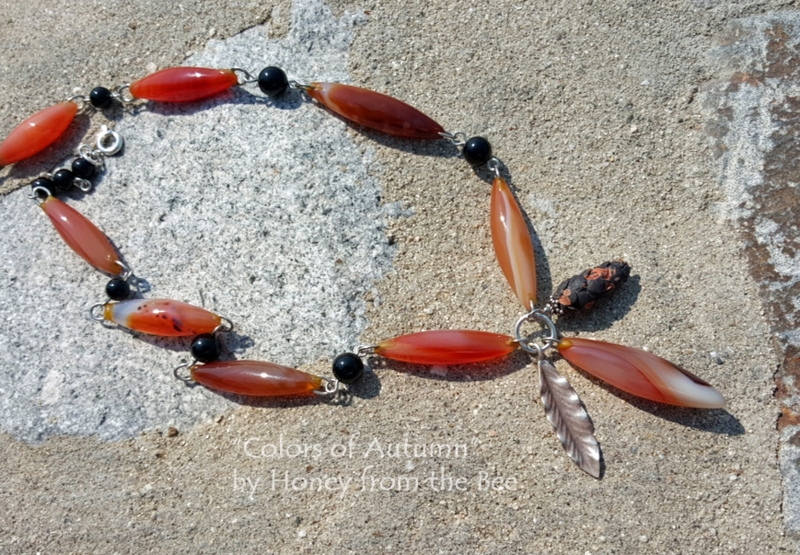 At first I thought they were carnelian, but as you can see from how the glassmaker added links to the ends, it is glass. A very talented glassmaker created these. 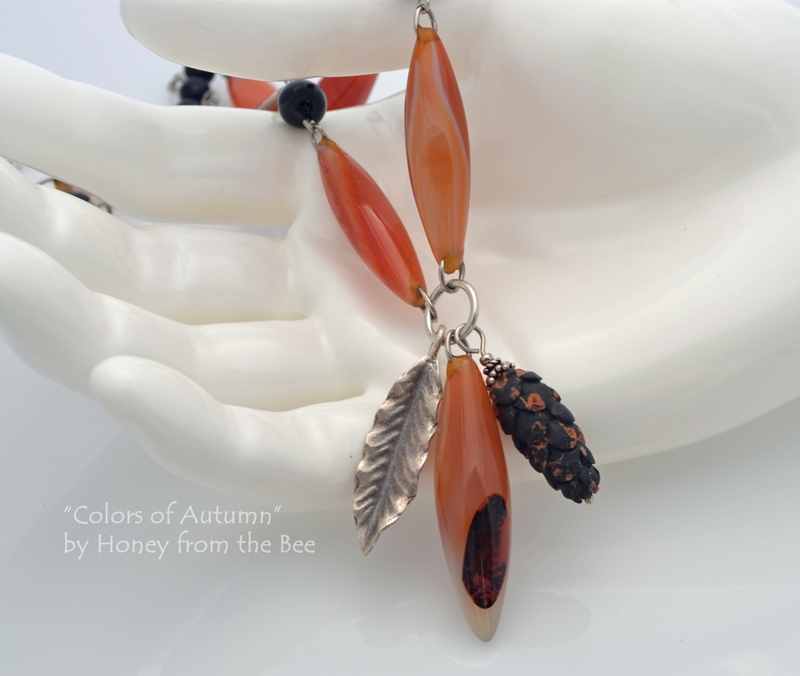 High quality black onyx add a punch to the orange shades in the glass. Sterling Silver findings including a chain that allows adjustment from about 17 inches to 22 inches. 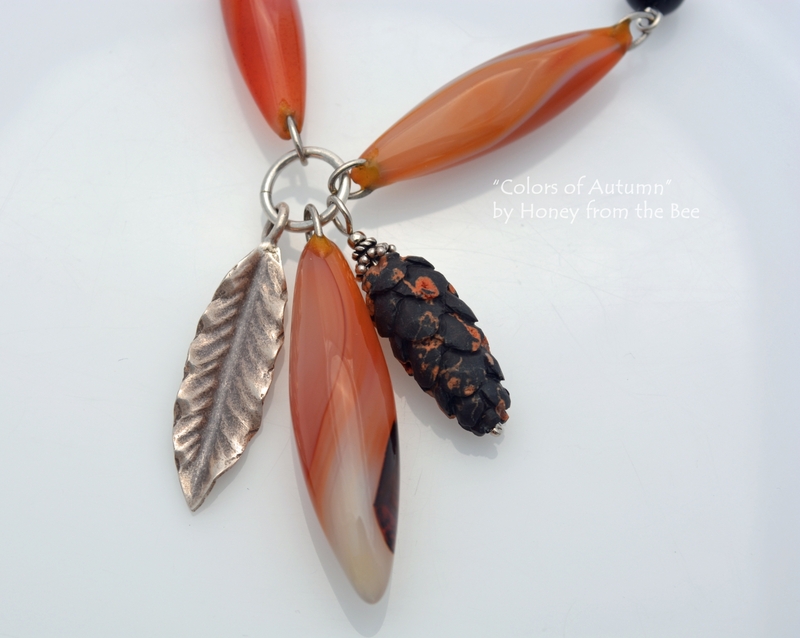 This is certainly not just an Autumn necklace, but one that is warm and vibrant for the nature lover.